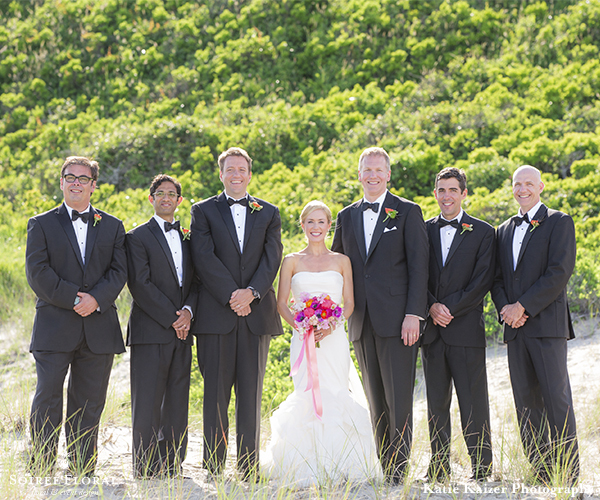 We love outdoor ceremonies and to be able to look out over a deep blue ocean and bright blue sky makes it even better. 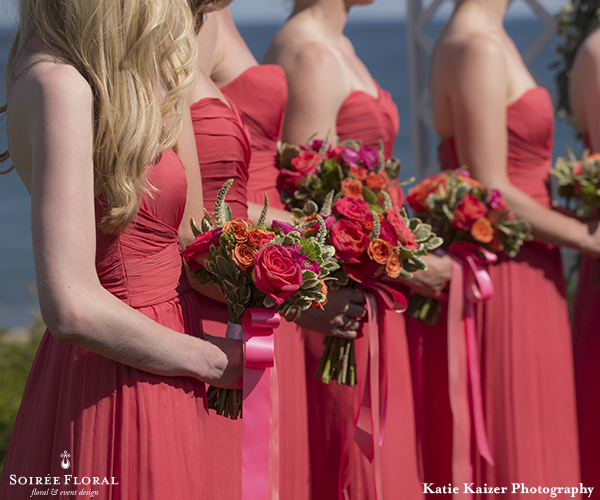 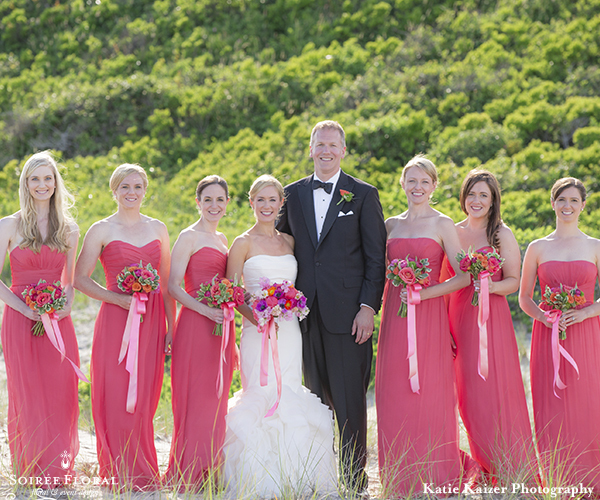 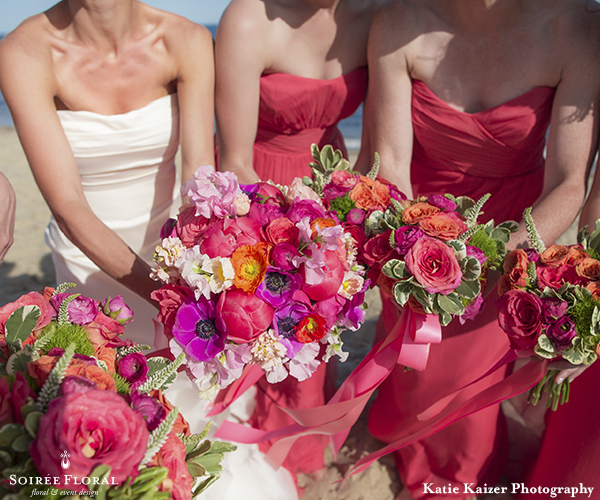 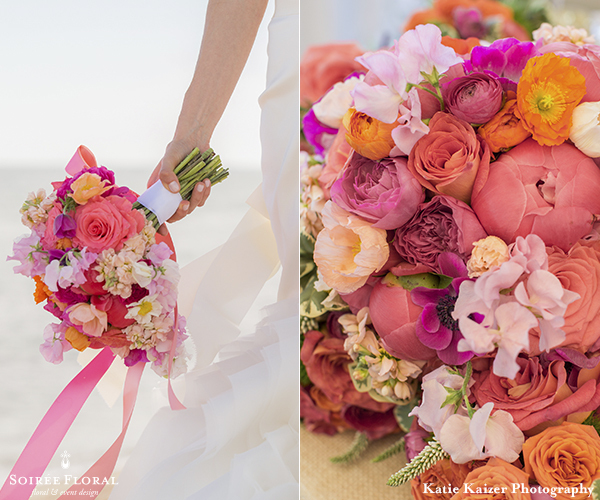 Our bride Hillary loved vibrant colors and picked the perfect time of year to embrace that color scheme. 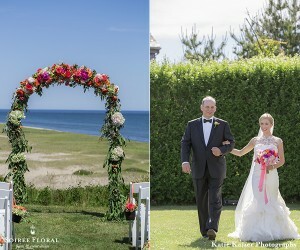 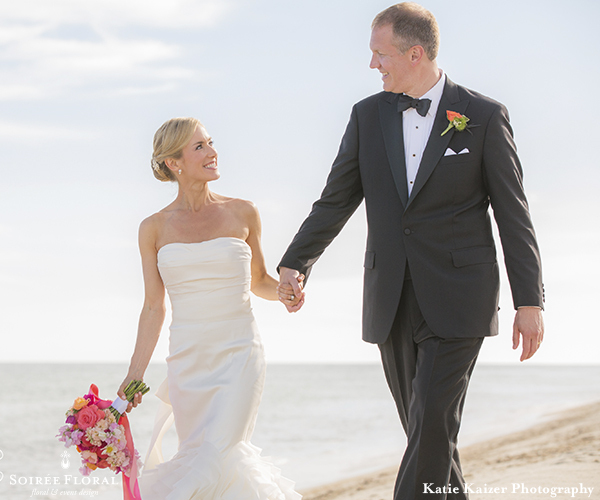 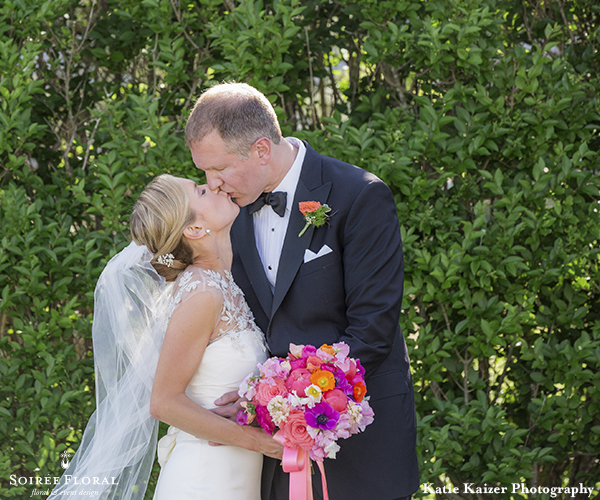 Her mom was well versed in blooms and became a huge help in the planning of their special day. 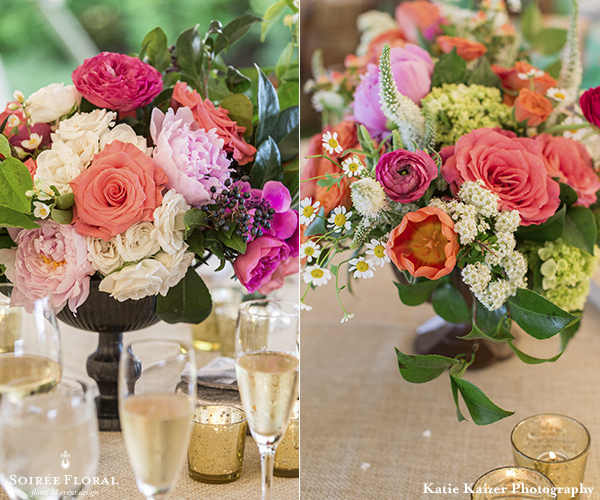 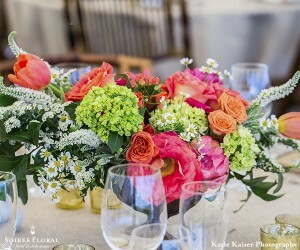 A free form, garden style look was in order and we had so much fun designing for their big day. 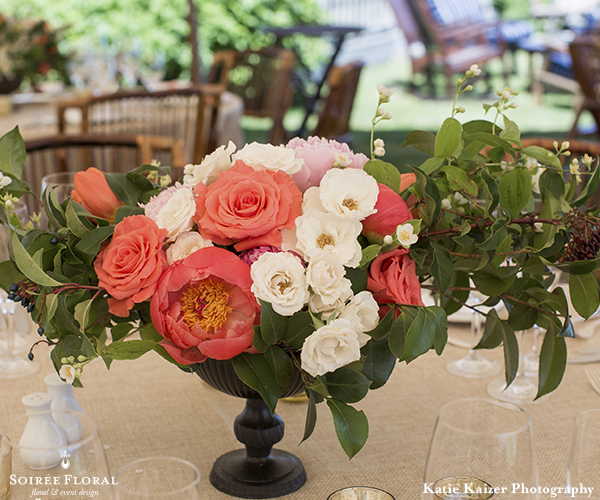 You can’t go wrong with peonies, tulips, berries, and garden roses! Add in the summer solstice to party the night away and you have the perfect Nantucket day. 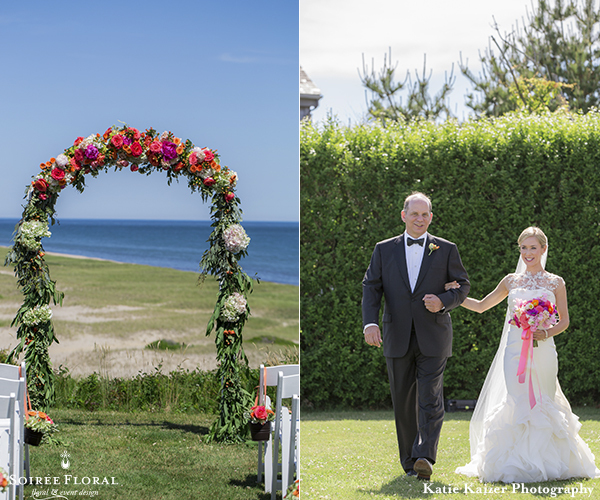 Photos by Katie Kaizer.